Allegrone: Al – a – Grone - E - They’re a staple to the masonry restoration and preservation construction community with a timeline stretching as far back as 1921. The Allegrone family business is in its fourth generation and has grown immensely from the roots they planted almost 100 years ago. A company built as strong as the masonry materials they represent, Louis C. Allegrone developed a company built on integrity, strength, and quality. With hard work and determination, Allegrone’s original focus on restoration construction in Massachusetts has grown to cover New York and Pennsylvania as well. Territory is not grown that much by pure luck, it’s the reputation and quality Allegrone delivers that allows them to be a powerhouse in masonry restoration and preservation. Beginning as a restoration mason contractor, Allegone branched off into several divisions all falling under the same umbrella. Still family owned and operated, they had a vision and a plan that has not failed and only encourages growth and stability in the construction community. When they decided to bring on Michael Mucci to run the masonry division after Louis C. Allegrone retired, they were taking a chance. Mucci was not family and had very big shoes to fill. Now President of Masonry Construction, Mucci had to earn this position and has proven to be an asset to the family name. He has been a part of the Allegrone team for 13 years, beginning as a General Manager, and is highly qualified with a Civil Engineer degree and Master’s in Business Administration from Rensselaer Polytechnic Institute allowing him to understand both sides of the fence: construction and how to properly run a business. When Michael decided to expand the masonry restoration and preservation division into the growing market of exterior envelope projects, it opened many doors. 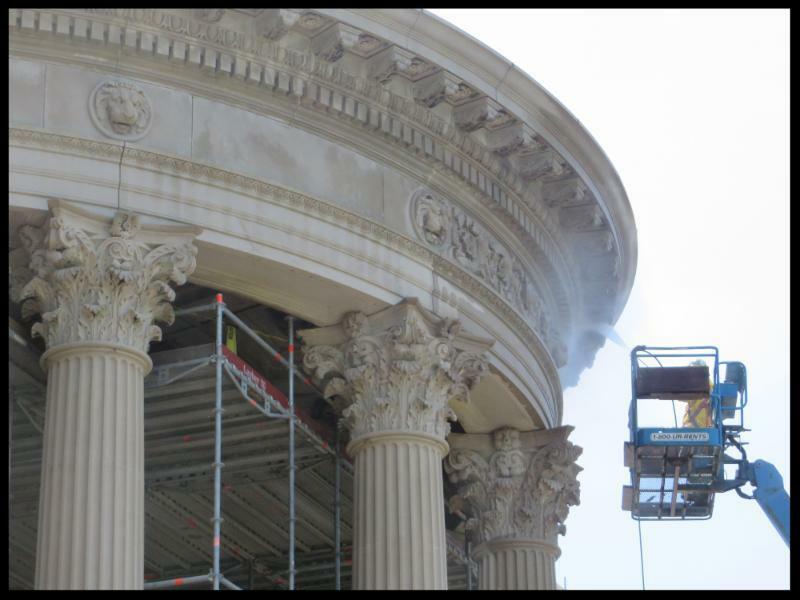 A project Michael and the Allegrone masonry team is very proud of is the Vanderbilt Mansion in Hyde Park, New York. A project that encompassed what exterior envelope projects are all about: waterproofing, window replacement and repair, roof repairs, and complete exterior encapsulation. They knew they had a big task ahead of them, but one they were prepared for. The project was completed in a one-and-a-half-year time period with many obstacles to face, but Allegrone came out on time and with a very happy client, the U.S National Park Service. 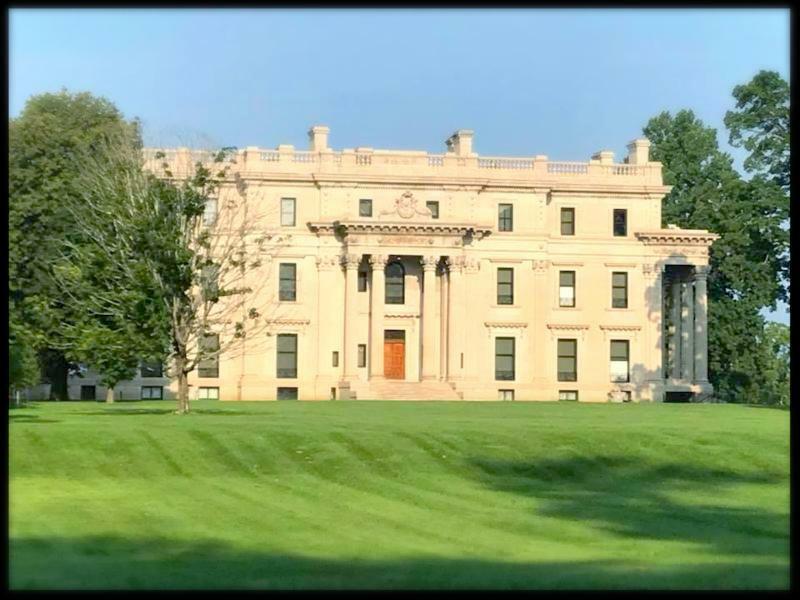 Upstate Masonry Institute had the pleasure to sit and interview the President of Louis C. Allegrone Masonry Division, Michael Mucci to learn more about the Vanderbilt Mansion project and Louis C. Allegrone, Inc.
What qualified Allegrone to bid the Vanderbilt Mansion Project? As a fourth generation contracting company with roots firmly established in the field of historic preservation and restoration, Allergone was right for the job. Allegrone takes pride in the ability to combine classic restoration skill with contemporary construction technology to achieve the highest level of integrity. We established a very strong, experienced, and reliable project team who has completed other projects similar in profile to the Vanderbilt Mansion Project. Some of our most recent project completions have been: Yaddo Mansion, Empire State Plaza Grand Staircase, The Cathedral of Immaculate Conception, Beacon Cinema and Springfield State Office Building. 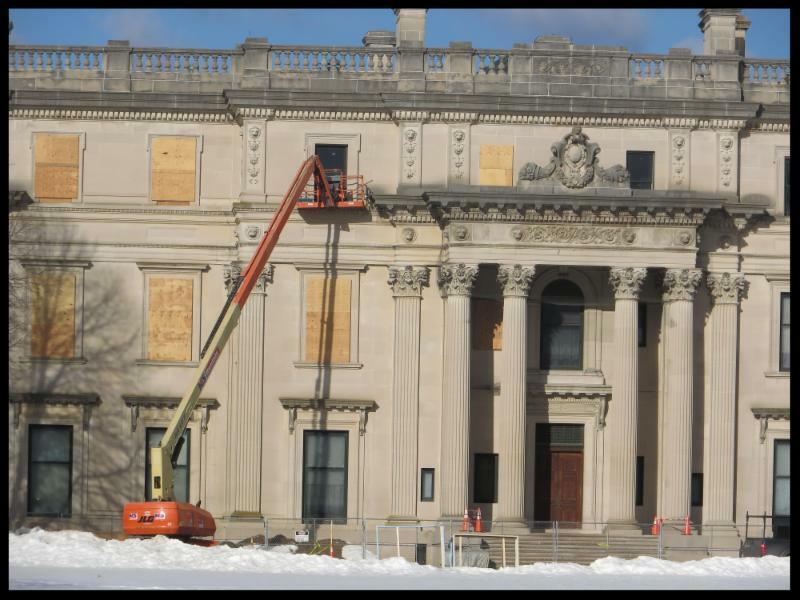 What were some obstacles you faced while on the Vanderbilt Mansion Project? 1. Protecting and preserving the foundation walls that showed signs of failure due to age and moisture infiltration; removing and repairing historically significant windows; washing and cleaning the entire exterior masonry structure to its original grandeur; and remove, repair, and upgrade structural masonry elements was no small task all while the building was open to public. Tours were still given and handicap access had to be maintained. 2. This project is a national museum. With that comes very delicate artifacts and displays that must not have any foreign dust collected on them. Every time we went into a new room, we had to set something similar to a clean room setupkeeping our space as air tight as possible. We also were not allowed to physically touch anything. Anytime something needed to be moved, there was a contracted moving company who specialized in this type of project who needed to be involved. Communication and proper planning were key. 3. Coordinating and keeping lines of communication open to Project Managers based out of Denver, Colorado proved to be difficult at times as well. Though they had an on-site consultant, if something went wrong that wasn’t favorable to the project, it was a priority to communicate and document everything. Why union masons and craftworkers? Allegrone Masons and Craftworkers are journeymen and women who are all members of the local Trade Unions. We employ these members because they are products of a four-year apprenticeship and training program. Much of their training is focused on restoration and they have access to continuing education programs unmatched in the masonry industry. The end result of this specialized training is a workforce that has a thorough understanding and respect of historic masonry materials and products. Once the project was complete and the final walk through was finished, did you have a moment to take it all in? If so, what solidified your accomplishment? 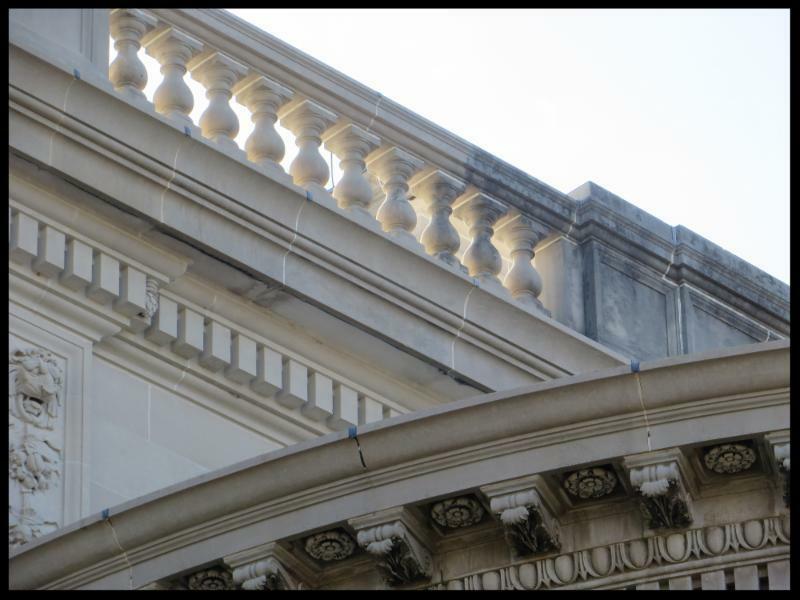 It is easy to get wrapped up in the daily nuances of the construction industry, but when you have an appreciation and respect for preservation and restoration, it is important to make it a point to take a moment and look at where we started to how we ended. There is no better feeling then looking at a finished restoration project and thinking how the visitors have the ability to step back in time and enjoy the grandeur of something so delicately designed and beautiful for another hundred years. The biggest compliment we received on this project was from the final walk through when National Park Service Project Managers couldn’t distinguish the original to new repairs. It is a proud moment when your client can look at a building and turn to look at the team of ten union masons and the Allegrone executive team who completed the project and not know where the lines were blended. It is those moments that not only make me proud of the accomplishments of Allegrone but proud of the union masons and craftworkers who choose this trade and field. Without them we wouldn’t have the reputation we have today. 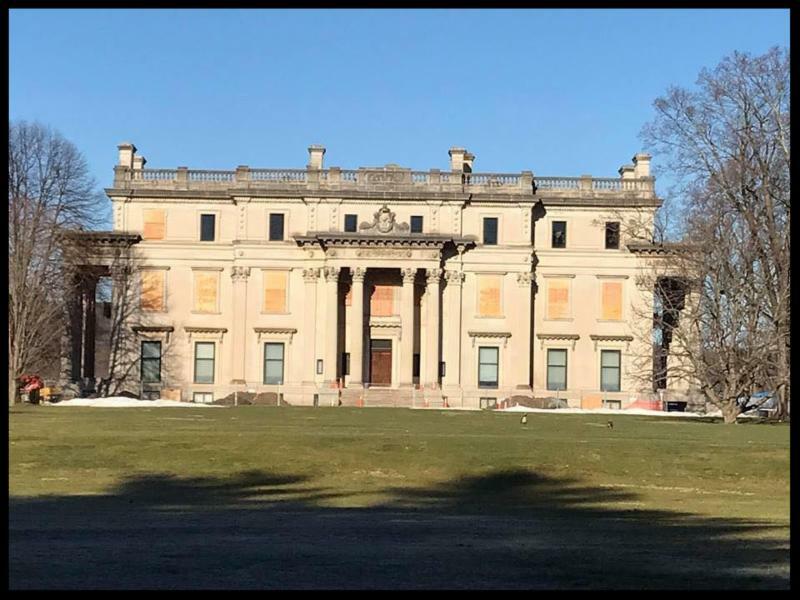 Vanderbilt Mansion - Before Photo - A big task at hand Allegrone stepped up to the job and expertly crafted this national historic site. Allegrone brought this mansion back to its grandeur and magnificence. For the first time in decades the porticos are safe to visit and the exterior features - iron work, electrical fixtures and window frames are restored. Ancient masonry buildings were load bearing in the sense that masonry resisted all of the imposed loads.